Your little one, who is growing and developing, will be very active. He starts to explore. Starting from crawling, rolling on the floor, or playing while putting objects into his mouth. As he is getting older, there are more things that make him curious, igniting his desire to learn. Usually, a child’s illness is caused by viral or bacterial infection. Children from 0 to 2 years are vulnerable to it due to their immature immune system. So, to keep the health of your child, Dads and Moms may incorporate some of these tips into your daily routine. Provide food with lots of colorful vegetables and fruits. These will support your child’s immune system. Make sure he gets enough vitamin C (can be obtained from strawberries, broccoli, and oranges) and vitamin D (sources are tuna, fortified milk, and cereals). 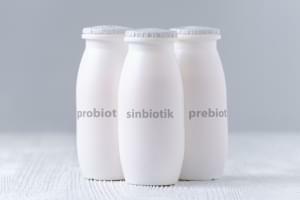 Eating yoghurt that contains probiotics (the ‘good’ bacteria) may also help creating a good body defense. Children should be taught to wash hands after every activity; after school, after play time, and before eating. This would be beneficial to prevent transmission of virus that cause respiratory and gastrointestinal diseases. The ideal handwashing duration is about 15 to 20 seconds. Children should be encouraged to have a routine sleep schedule. Sleep deprivation will increase your child’s risk of getting flu for up to two-fold. Harley A. Rotbart, M.D., the writer of Germ Proof Your Kids: the Complete Guide to Protecting (Without Overprotecting) Your Family from Infections, said that babies need to sleep as much as 14 hours a day and children age 3 to 5 about 11 to 13 hours a day. Engaging in a routine physical activity will reduce the risk of flu for up to 25-50 percent annually. Physical exercise triggers circulation of body defense cells so that germs can be properly managed. It turns out that the quality of inhaled air will affect the health of our body. Open all windows every morning and place some green plants inside the house to ensure maximum air circulation. Since your little one would be at home most of the time, you need to regularly clean the house, especially bathroom and kitchen. Do not let pile of unused objects existed because it can only be a nest for germs. A strong physical health is one important factor for a child’s growth and development. Make sure you, Dads and Moms, keep the health of your children by doing those tips above. Parents often experience situations where the Little One becomes irritable when placed on the bed, but their cry immediately turns into a smile when parents lift them up and carry them. The touch of their parents calms them. Imagine the benefits experienced by the Little One when they are massaged.